Say Bonjour to the paradise of ostentatious architecture and design at Bonjour Paradise Resort, located at heart of Udaipur city. The resort is situated near Sanjay Park and opposite to the church on Rani road. 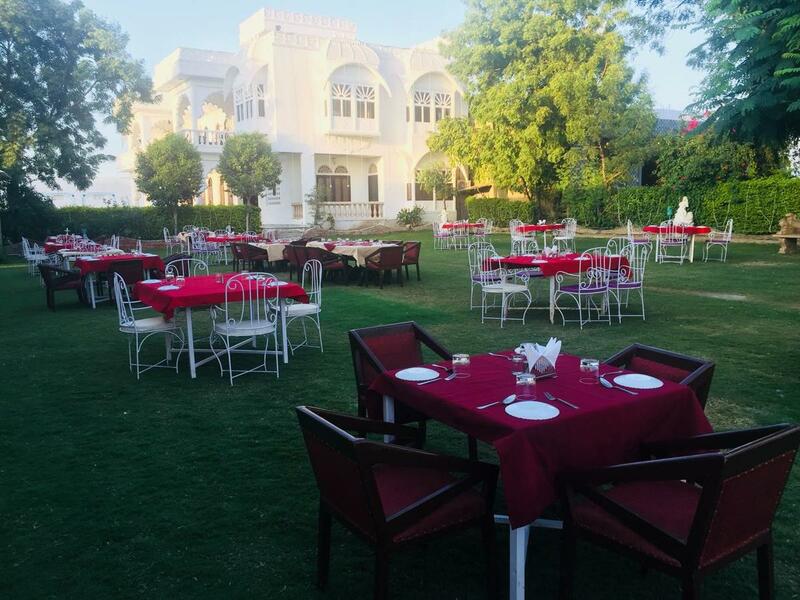 The Resort offers grand Heritage Suites and Executive Rooms with ample amenities, which carry the spirit of Rajasthan in its style and design of interiors.Our rooms are the perfect combination of design and comfort with its modern amenities and wooden interiors, bundled with our 24 hours room service by trained and professional staff. Enjoy the magnificent living experience with our exquisite rooms and round-the-clock facilities. Airport Transportation, Travel Counter, Banquet Facilities, Business Facilities, Complimentary Newspapers in Lobby, Breakfast Services, Front Desk, Restaurant, Room Service, Internet/Wi-Fi. Air Conditioning Room, H/C Water, Television Room, Iron/Ironing Board, Internet Access, Basic Bathroom Amenities, Attached Bathroom, Complimentary Newspaper, Reading Lamps, Child Care. User reviews for "Bonjour Paradise Resort Udaipur"